Grow your business with MACE. We’re committed to working in partnership with retailers to deliver an offer that provides all the benefits of a convenience store brand. 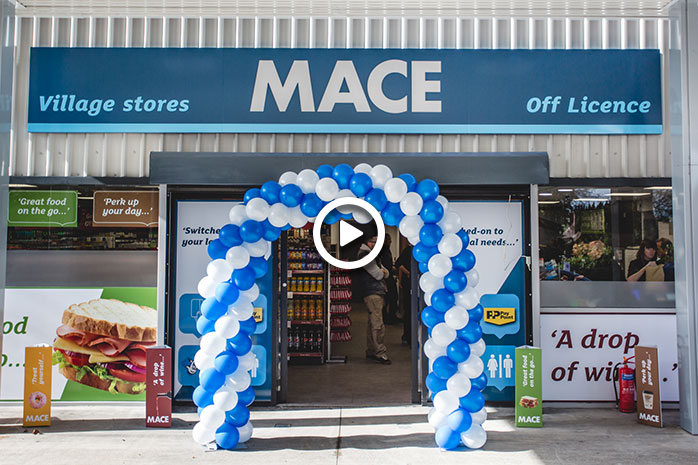 "The new ‘food to go’ concepts Musgrave developed have proved very successful in our store. Since we introduced the concepts, we’ve seen double digit growth from our deli area, as well as an overall increase in margin of nearly 2%. In a very tough business environment, that’s an excellent result"
"For me one of the main advantages of MACE is that you get access to the knowledge and support of the Musgrave group. My Sales Advisor is in my store every week and adding real value, whether that’s recommending new products or advising me on how I can grow sales and margin. It’s been a big help to my bottom line." Feel free to contact us with a question or to request more information about MACE.